Our Lady of Fatima church built in 1848, is located at the foot of Muldraugh Hill in Phillipsburg, in Marion Country on Highway 208. Before the church was built people in this area went to St. Frances de Sales, Spurlington Church, about 4 miles away or to Holy Name of Mary at Calvary, about 5 miles away if they could get there. Five miles doesn't seem a great distance today but before 1950 that was not the case. Many walked up the railroad and through the tunnel to get to the Spurlington C hurch. Everyone was excited when Father Louis P. Bossung visited the area and inquired if they would be interested in building a church at Phillipsburg. On March 7, 1948 Father Louis held the first Mass in the old former schoolhouse across the road from where the present church is now located. Plans were immediately begun to build a church of a Spanish mission design. The land was donated by Mr. & Mrs. Leonard Drury. Vonley Newton furnished the lumber and everyone around helped in any way they could. The church completed, the first Mass was held in early 1949 and dedicated on October 26, by Archbishop John A. Floresh. 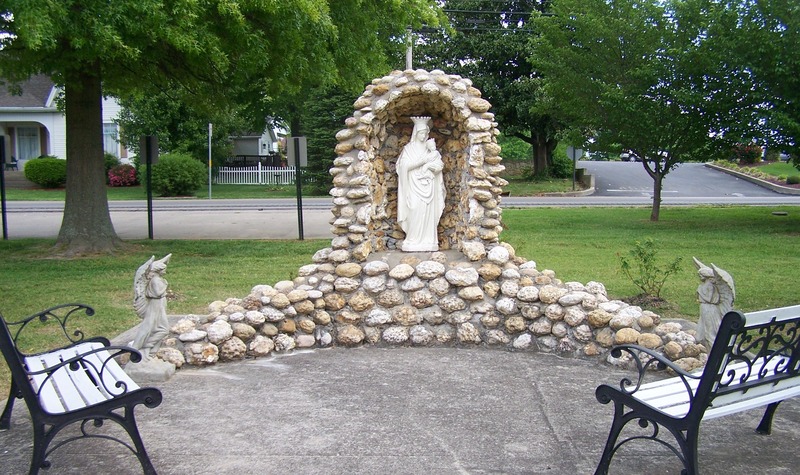 Our Lady of Fatima was established as a mission of Our Lady of the Hills, Finley and cared for by it's pastors until 1990. 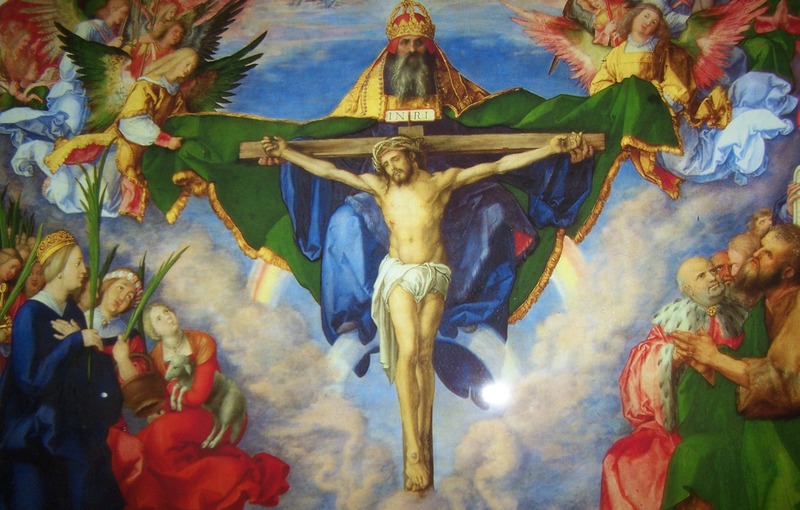 In 1990 the parish was clustered with Holy Name of Mary in Calvary with Father Joseph Dawaon as the Pastor. Father David Naylor was assigned in 2001. When he was reassigned in 2004 so was Our lady of Fatima. 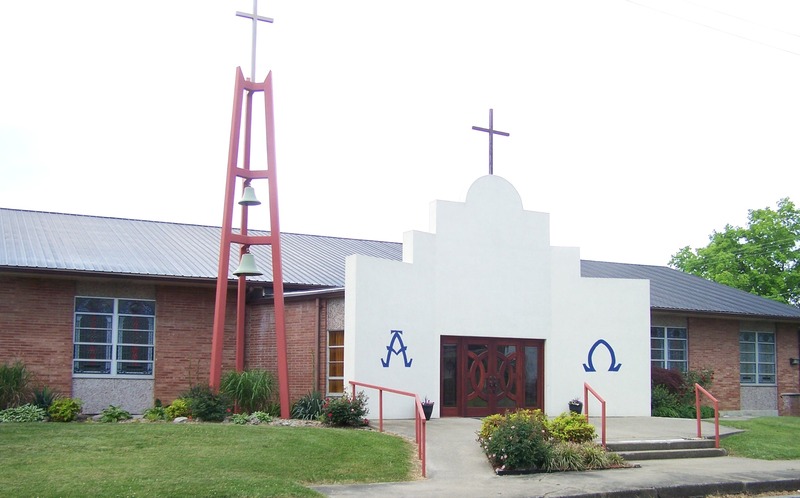 Once again the parish was clustered with Our Lady of the Hills and also with Our Lady of Pereptual Help, Campbellsville, with Father Jeffery Leger as Pastor. Fr. Thomas Clark and Fr. James Bromwich the next to be assigned followed by Fr. Reinhard in 2011 to the present. 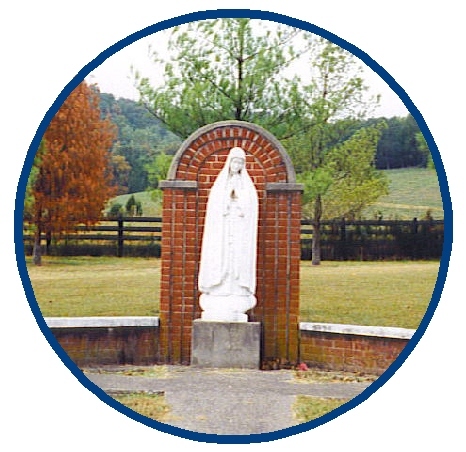 Our Lady of Fatima is a small rural parish that attracts many in the surrounding area to the early Sunday morning Mass. If you are in the area take time to visit this adorable little blue country church.